Jerusalem (AFP) - A US student barred from Israel over past support for a pro-Palestinian boycott campaign appeared before the Jewish state's top court Wednesday in a final appeal against the state's decision. 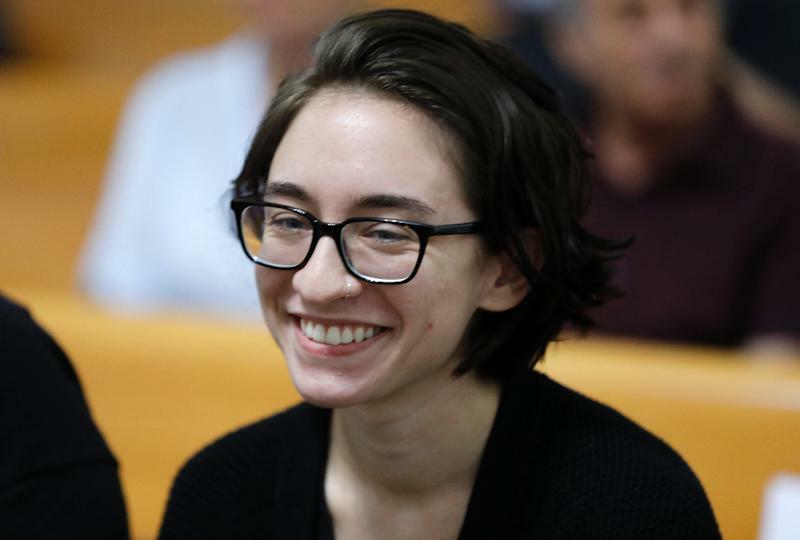 Lara Alqasem, 22, landed at Ben Gurion Airport on October 2, for master's degree studies at Jerusalem's Hebrew University. Despite having a visa, she was not allowed to clear immigration, due to a 2017 law barring supporters of the Boycott, Divestment and Sanctions (BDS) movement. Alqasem, who says she left SJP in 2017 and was no longer part of the BDS movement, decided to stay in Israel and challenge the decision. Two appeals to lower courts have been rejected. At Wednesday's Supreme Court hearing, Alqasem's lawyer said the state should apply common sense when applying the law against BDS supporters. "Why would she want to enter Israel to call for a boycott?" Yotam Ben Hillel asked. The Hebrew University wants Alqasem to undertake her studies. A representative said foreign students and researchers provide "oxygen" for local academia, while their presence could counter boycott efforts. "We think that if people come and live here, they’ll see we're not an apartheid state," the university's attorney Pepi Yakirevich said in court on Wednesday. The state's representative argued that the interior ministry had the authority to prevent Alqasem's entry, based on the law and her past actions, which indicated a "central role" in her organisation. The panel of three judges adjourned the hearing ahead of reaching and publishing a decision. In March 2017, Israel's parliament passed a law banning the entry of supporters of BDS, a movement inspired by an international campaign against South Africa before the fall of apartheid. The judges questioned the point of barring a person who was no longer active in the BDS movement. But outside court, an attorney for a right-wing NGO that worked with the state on the case insisted Alqasem would resume campaigning activity if allowed to enter Israel. "There are enough circumstances and supporting evidence to all our claims that prove that Lara Alqasem isn't here in order to be a regular student and gain an education," said Yaakov Cohen of Im Tirtzu. Her true aim is "to incite and create provocations", he added.